Bali is not only about Kuta and Sanur beach. In the West Bali region there is a place that will amaze tourist at first glance. It is named Menjangan Island. It is said that this one island is the perfect definition of the beauty of the underwater panorama with a stretch of pristine white sand and marine biodiversity that is very abundant. The name “Menjangan” itself actually comes from Javanese, which means deer or deer animal. It is named that because every spring many flocks of wild deer swim to this island with a distance of 1.2 miles. On this island there are many wild deer that live free. Yet unfortunately, the longer the number decreases. The existence of deer drives the government to make Menjangan Island as West Bali National Park. This is a government effort to build conservation to preserve deer and biodiversity on this island. Menjangan Island is located north of the West Bali National Park area. Precisely in the village of Klampok, Grokgak District, Buleleng Regency, Bali, or about 60 km from Lovina. If departing from Denpasar, you can take the route Denpasar – Tabanan – Selemadeng – Pupuan – Seririt – Menjangan. With a travel time of around 4 hours, you will be treated to a green view of Balinese rice fields and blue sea. To reach Menjangan Island, you must cross by boat for 30-45 minutes from Lalang Port. During the trip you will be treated to volcanic views in East Java to Prapat Agung, combined with clear blue sea. At Lalang Port, the facilities provided are complete, such as restaurants, inns, bars, and much more. Arrive at this beautiful island, you will be amazed as if were in a perfect fairyland without the slightest flaw. In addition to the stunning views of the land, the underwater scenery of Menjangan Island is equally fascinating to the hearts of anyone who sees. 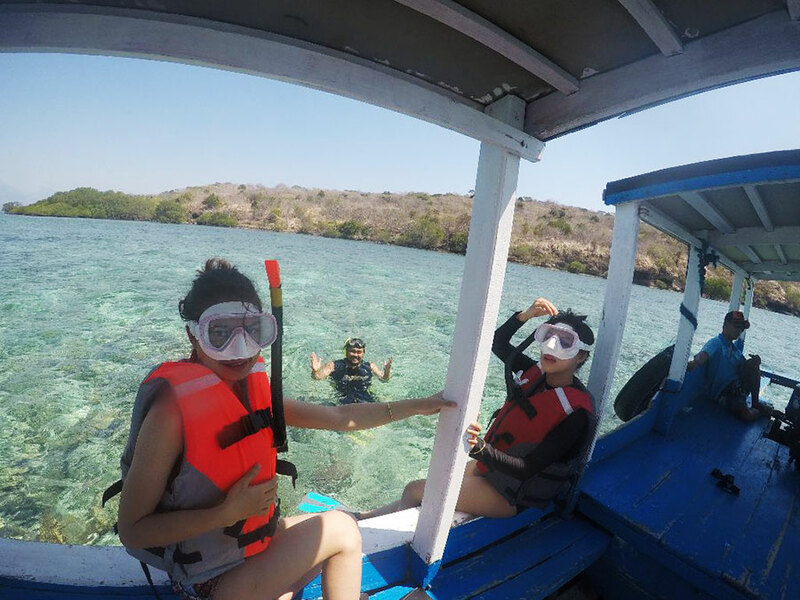 Menjangan Island is surrounded by coral reefs with various formations and forms. The 60 meter deep rock formations form small caves and large caves that have functions as coral habitats such as soft corals, large groupers and moray eels. In these small caves, you will find small snapper and batfish swimming back and forth. The seabed of this island is also rich in species of barrel sponges and sea fans of very large size. At this depth location is also a place of life for tuna species, hordes of jackfish, batfish, angelfish, sea turtles, as well as sharks. 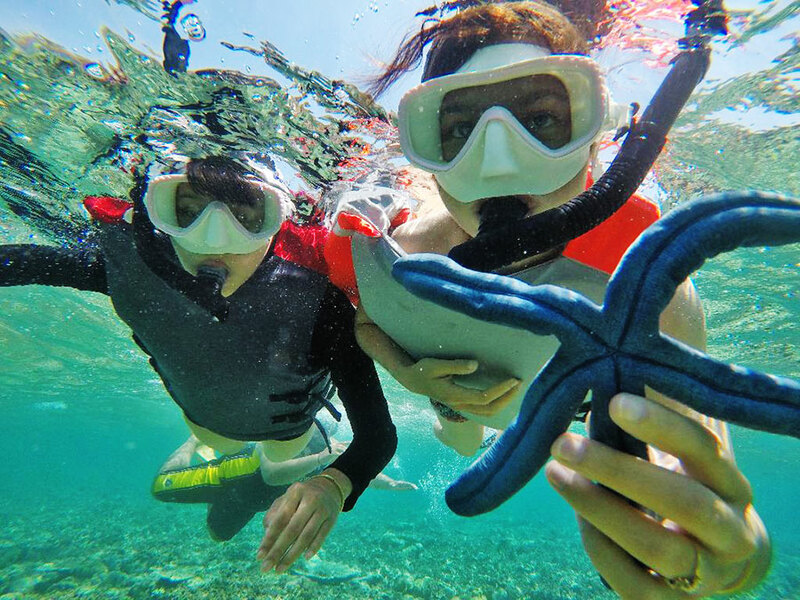 Being on an island as beautiful as Menjangan, diving and snorkeling are activities that you shouldn’t miss. Remember, before deciding to dive or snorkel, don’t forget to prepare equipment that supports these activities to make it safer. Apart from these two water sports, Menjangan Island is also famous for its wall-diving. Wall-diving is one type of diving activity at the depths by following the underwater cliff lane. The underwater cliffs on Menjangan Island have a depth of 20 to 60 meters, even more. Although famous for its wall diving, Menjangan Island has many coral reefs with depths ranging from 10 meters. Here, you will find many gorgonial fanfish types. The condition of the waters here is quite calm so that your visibility can reach 50 meters in certain weather conditions.